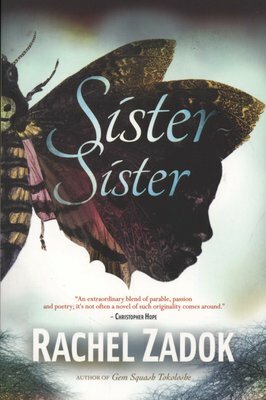 Sister-sister is the unforgettable story of twins, Thulisile and Sindisiwe Nxumalo, set in a dystopian near-future South Africa. In childhood, gregarious Thuli and stuttering, introverted Sindi, are inseparable. But the arrival of an uncle they never knew they had sets into motion a course of events that will destroy their relationship and, eventually, their lives. In the twins' world, petrol-driven cars have been banned, and diesel pirates sell illegally distilled b-diesel to fuel junks. An unspeakable illness has run wild, disseminating populations in poverty stricken rural areas, and creating a market for untainted girls. In the townships a new religion, led by The Black Preacher, urges women to become Mothers for a New Mankind, and only those with pure blood are allowed into the Believers fold. 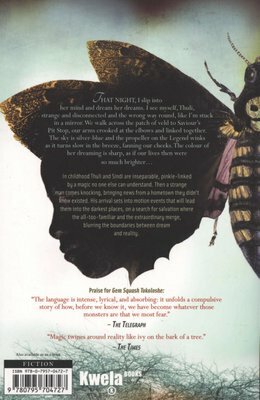 The novel is told in five parts, interweaving present and past as the twins unwind their tragic stories and find salvation in the most unexpected of places. The second novel from the highly lauded author of Gem Squash Tokoloshe.